Radical Republicans was the name given to a vocal and powerful faction in the U.S. Congress which advocated emancipation of slaves before and during the Civil War, and insisted on harsh penalties for the South following the war, during the period of Reconstruction. Two prominent leaders of the Radical Republicans were Thaddeus Stevens, a congressman from Pennsylvania, and Charles Sumner, a senator from Massachusetts. The agenda of the Radical Republicans during the Civil War included opposition to Abraham Lincoln's plans for the post-war South. Thinking Lincoln's ideas were far too lenient, the Radical Republicans backed the Wade-Davis Bill, which advocated more stringent rules for admitting states back into the Union. After the Civil War, and Lincoln's assassination, the Radical Republicans were outraged by the policies of President Andrew Johnson. Opposition to Johnson included overriding presidential vetoes of legislation and eventually organizing his impeachment. The leadership of the Radical Republicans tended to be drawn from the abolitionist movement. Thaddeus Stevens, the leader of the group in the House of Representatives, had been an opponent of slavery for decades. As a lawyer in Pennsylvania, he had defended fugitive slaves. In the U.S. Congress, he became head of the very powerful House Ways and Means Committee and was able to exert influence on the conduct of the Civil War. Stevens prodded President Abraham Lincoln to emancipate the slaves. And he also advocated the concept that the states which had seceded would be, at the end of the war, conquered provinces, not entitled to re-enter the Union until they met certain conditions. The conditions would include giving equal rights to freed slaves and proving loyalty to the Union. The leader of the Radical Republicans in the Senate, Charles Sumner of Massachusetts, had also been an advocate against slavery. In fact, he had been the victim of a vicious attack in the U.S. Capitol in 1856 when he had ​beaten with a cane by Congressman Preston Brooks of South Carolina. In late 1863 President Lincoln issued a plan to "reconstruct" the South after the anticipated end of the Civil War. Under Lincoln's plan, if 10 percent of the people in a state took an oath of loyalty to the Union, the state could set up a new state government which would be recognized by the federal government. The Radical Republicans in Congress were outraged by what they considered an overly mild and forgiving attitude toward the states which were, at that time, waging war against the United States. They introduced their own bill, the Wade-Davis Bill, named for two members of Congress. The bill would require that a majority of white citizens of a state which had seceded would have to swear loyalty to the United States before a state would be readmitted to the Union. After Congress passed the Wade-Davis Bill, President Lincoln, in the summer of 1864, refused to sign it, thereby letting it die by pocket veto. Some of the Congressional Republicans responded by attacking Lincoln, even urging that another Republican run against him in that year's presidential election. By doing so, the Radical Republicans came off as extremists and alienated many northerners. Following the assassination of Lincoln, the Radical Republicans discovered that the new president, Andrew Johnson, was even more forgiving toward the South. As might be expected, Stevens, Sumner, and the other influential Republicans in Congress were openly hostile to Johnson. Johnson's policies proved to be unpopular with the public, which led to gains in Congress for the Republicans in 1866. And the Radical Republicans found themselves in the position of being able to override any vetoes by Johnson. The battles between Johnson and the Republicans in Congress escalated over various pieces of legislation. In 1867 the Radical Republicans succeeded in passing the Reconstruction Act (which was updated with subsequent Reconstruction Acts) and the Fourteenth Amendment. President Johnson was eventually impeached by the House of Representatives but was not convicted and removed from office after a trial by the U.S. Senate. 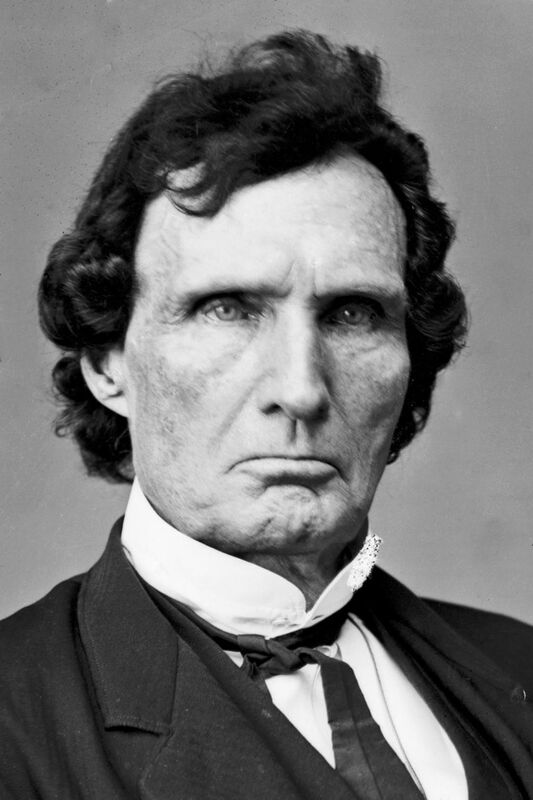 Thaddeus Stevens died on August 11, 1868. After lying in the state in the rotunda of the U.S. Capitol, he was buried in a cemetery in Pennsylvania he had chosen as it allowed burials of both whites and blacks. The faction of Congress he had led continued, though without his fiery temperament much of the fury of the Radical Republicans subsided. Plus, they tended to support the presidency of Ulysses S. Grant, who took office in March 1869.